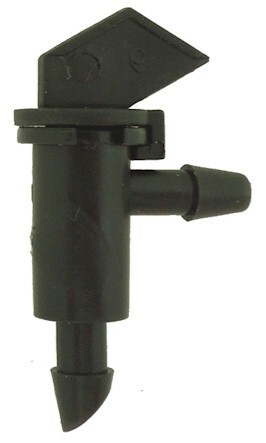 Take apart, non pressure compensating flag drippers can be pulled apart for easy cleaning. Self-tapping barbed inlet for easy installation and color coded one, two and four gph outputs. 1/4" barb easily attaches to mainline tubing or 1/4" micro tubing. Great for spot watering trees, shrubs, flowers and vegetables. Use micro tubing stakes to keep the dripper up out of the dirt and to deter bugs. Also great for low pressure and gravity fed systems. Standard Bags are 100 pcs.